The other day, we published two cost comparisons between Mac laptops and Windows notebooks, written by my PC World colleague James Martin. Rather than configuring Windows computers to match the specs of a particular MacBook or MacBook Pro, James picked two price points—$1,000 and $2,000—to see what your money could get you from HP and Dell. It’s an interesting take on the price-comparison genre, and one that perhaps better reflects how people actually shop: with a set budget in mind. I’ve been critical of many “cost comparison” articles in the past, noting that they seldom compare comparable computers and that they often leave out important differences, but I thought James’ articles were largely fair. (And laptop comparisons tend to be more sound than comparisons of desktop models, since it’s difficult to put together your own notebook from parts—you’re limited to buying the computer from a well-known vendor.) In both the $1,000 comparison and the $2,000 comparison, James found that you can get better specs and more features with a Windows laptop, although the Macs still have a lot of appeal. But is that the whole story? If you wanted to quibble with the articles—and I’m sure many people around The Internets are indeed quibbling about them—you could find a spec comparison that isn’t perfect or even a simple error. For example, the MacBook Pro does have an ExpressCard slot, despite the claim to the contrary in the second article. (I suspect James actually mean to write that the MacBook Pro doesn’t have an ExpressCard/54 slot—it has ExpressCard/34.) But the overall feature analysis was reasonable. The larger issue to keep in mind—especially if you’re using articles like these to help inform your buying decisions—is that when it comes to such comparisons, some of the most significant differences are less obvious or quantifiable. For instance, James noted that he didn’t test the laptops in question; the articles were simply comparisons of specs. Which means, for example, there’s no way of knowing if the screen on each laptop is equally good, or if one of them is the worst screen you’ve ever seen in your life—as a user review found by Computerworld’s Seth Weintraub noted about the laptop featured in one of Microsoft’s latest TV ads. So even the fairest spec-for-the-price comparison doesn’t relieve you of the obligation to spend some quality time with a computer before buying it. 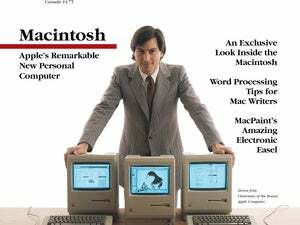 Similarly, though James noted in both articles that spec comparisons aren’t the whole story, many Mac users will tell you that, in fact, they’re only a small part of the story: the user experience is perhaps the biggest reason people buy Macs. Whether it’s the operating system, or the software quality, or the long-term reliability, or the lack of malware and spyware, it’s tough to argue these days that the Mac doesn’t offer a better overall experience. (Even Microsoft’s current ads, generating lots of commentary around the Web, don’t make that claim, instead essentially saying “the hardware running our OS is cheaper.”) Or, as analyst Michael Gartenberg put it—and I’m paraphrasing here—on the Mac side, value includes more than the price of the hardware. Finally, the articles only briefly touched on the other software that comes with the computers. While the Windows laptops ship with some simple software, and a couple also include Microsoft Works for basic productivity, the Macs ship with the iLife suite as well as all the apps bundled with Mac OS X. Much of the Macs' included software is superior not only to the stock software on the Windows computers, but also to many inexpensive third-party Windows programs. There’s a definite value advantage for the Mac laptops here, and even an actual cost advantage, if you end up having to purchase similar software later. Don't get me wrong. Apple still leads in some areas; for example, design and build quality, “greenness,” trackpad features, and minor niceties such as backlit keyboards and MagSafe connectors. But the company’s notebooks are lacking, compared to many similarly-priced Windows models, in more-basic areas such as hard-drive capacity, stock and maximum RAM, and expansion capabilities—things that not only affect your day-to-day use of the computer, but also stand out on a spec sheet. Similarly, with the exception of the dual-video-card design of the MacBook Pro, the Apple line doesn’t lead the pack when it comes to graphics power, processor speeds, or other performance specs. To put it another way, it wasn’t so long ago that buying a MacBook or a MacBook Pro meant you knew you were getting one of the best laptops around, regardless of the basis of comparison—features, design, software, build quality, you name it. But the competition is catching up, and in some respects has pulled into the lead. These days, you still get great design, Mac OS X, and some unique features, but it’s disappointing that these come packaged with a smaller, slower hard drive and less RAM (stock or max) than similarly-priced competition, along with computing power that doesn’t necessarily out-perform rivals, either. What could Apple do to fare better in such comparisons? Fortunately, some of the most-noteworthy shortcomings are easily fixed. While I’m sure Apple makes a good chunk of change on point-of-sale upgrades, it would be great—both for the buyer and for the perceived value of Apple's computers—if the company quit skimping on the most-basic specs to begin with (or at least charged reasonable prices for the most-obvious upgrades). For example, given the measly $20 difference in retail cost between 160GB laptop drives and 320GB models these days, making the latter the minimum, rather than a $75 to $150 upgrade, would make Apple’s laptops immediately more appealing to “spec shoppers.” Similarly, while 2GB of RAM is fine for a consumer laptop, it’s insufficient on a professional model. Considering that the retail difference between two 1GB chips and two 2GB chips is around $25, I'm guessing Apple could afford to make 4GB standard on the MacBook Pro line. Those two changes alone—which would cost under $50 at retail prices, and surely a fraction of that at the prices Apple pays for components—would make a big difference in how Mac laptops "compare" to similarly-priced Windows laptops. Oh, and while I’m making suggestions, Apple should throw in a copy of iWork with every Mac, given that most Windows PCs include, at the least, a copy of Microsoft Works. This would also result in some amount of lost revenue, but think about how much more appealing the Mac would be to comparison shoppers if every Mac included software that could read and write the latest Word, Excel, and PowerPoint files. Few Windows laptops can make that claim.